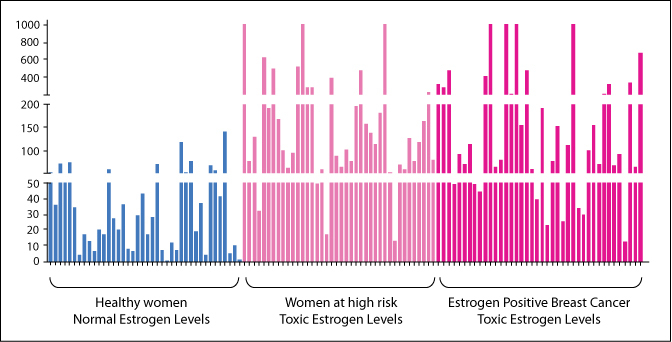 Dozens of studies demonstrate the clear link between estrogen metabolism genes and breast cancer. This cutting edge test of 8 genes is now available to physicians and allows for precision in prescribing hormonal replacement, bio-identicals, fertility medications and even birth control pills for some women. Studies show that women with mutations on 3 or more genes have elevated potentially cancerous estrogen levels which may result in as much as 13 times greater breast cancer risk. The Estrogene Test is a powerful physician tool in breast cancer prevention.